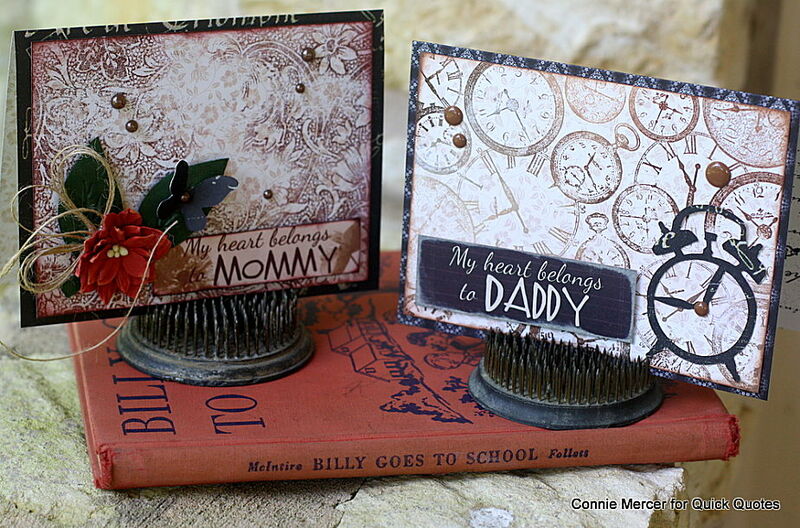 Hi, Connie here with a couple of "mommy" and "daddy" cards using Gypsy Road from Quick Quotes. The quote cards are from the Family Bundle set. 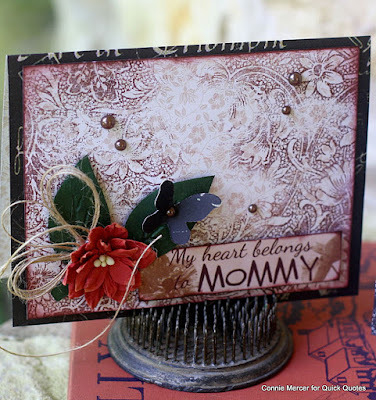 I created a card front by using a background stamp. Then adhered that to the pattern paper. 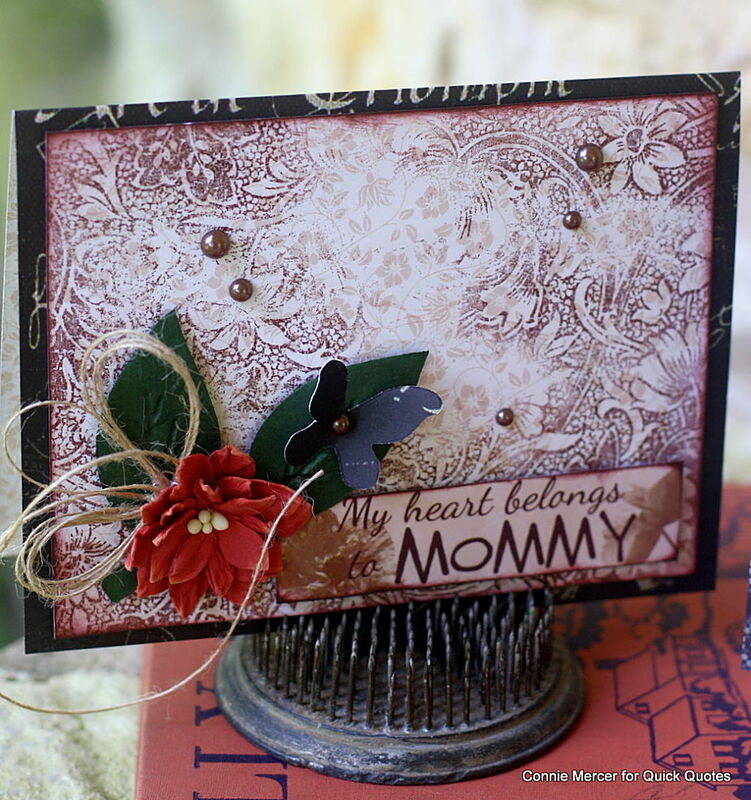 Added the Quote card, extra embellishments and it is ready to give! 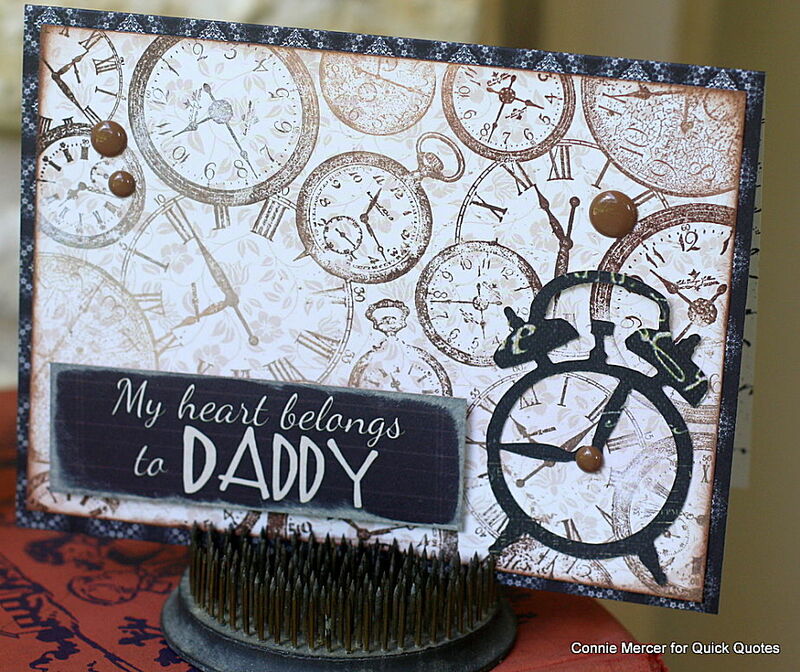 Designer note on the "daddy" card~Would be cute to add "My heart belongs to daddy all the time"